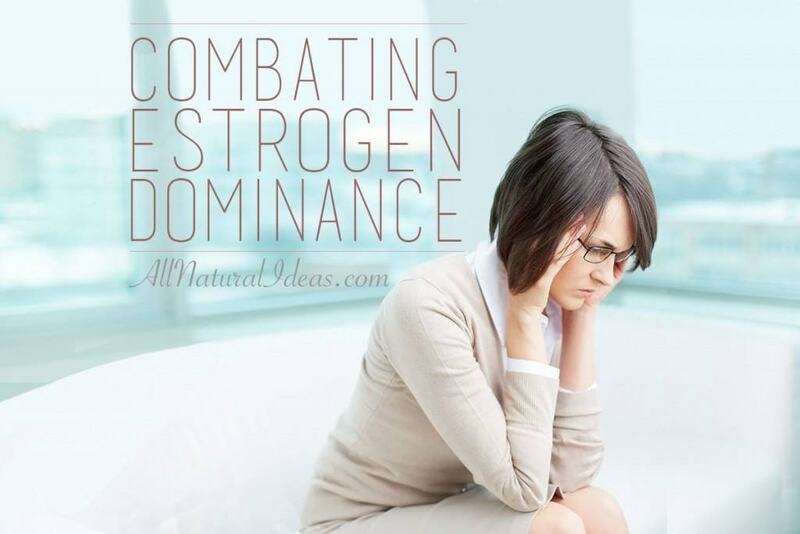 Are you suffering from estrogen dominance symptoms due to elevated estrogen levels? Here’s a few of the natural remedies to treat estrogen dominance. You may be wondering what estrogen dominance is. It is a condition that occurs when there is no progesterone to combat estrogen levels. You can have deficient levels. Normal levels. Even high levels. If you do not have progesterone you will have estrogen dominance. 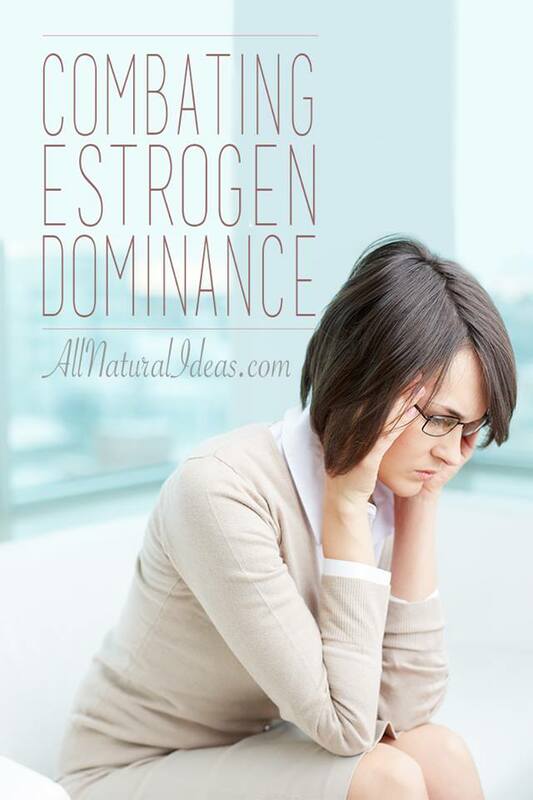 Learn to recognize estrogen dominance symptoms so you can treat it naturally. It’s important to keep your hormones in balance. By doing so you will lower your risk of contracting many chronic conditions. What’s the Source of Estrogen Dominance? How do high estrogen levels come about? It is not complicated. Estrogen dominance comes from outside sources. The culprit? Xenoestrogens. These come from products across the board. Xenoestrogens are found in chemical based products such as pesticides, detergents, plastic products, and cosmetics. They can easily get into your food. You may have heard that you should never microwave plastic. This is true! By reheating your food in plastic containers, xenoestrogens can leak into the food. Same thing holds true for drinking hot liquids in styrofoam or plastic cups. You don’t have to suffer from estrogen dominance symptoms. These effects can be reversed! The key is to find sources that contain natural progesterone compounds. These substances can be rubbed on or consumed orally. Progesterone creams became a popular treatment for menopause after Dr. John R. Lee, M.D. started implementing it. He successfully used it on his patients in the 1970s. Dr. Lee began prescribing progesterone after attending a lecture by Raymond Peat, Ph.D. who stated estrogen was the wrong hormone to be giving menopausal women. Dr. Peat provided references showing that progesterone was the necessary hormone to reverse the symptoms of menopause. Turns out Dr. Peat was right. What options exist for you to combat estrogen dominance naturally? You could try to avoid the environmental sources of estrogen. However, this would be near impossible. You would have to live in a bubble or the middle of nowhere to succeed. If you want to try a new food, incorporate wild yam. When consumed the body can convert its compounds into usable progesterone. Not a fan of yams? Have no worries. The easiest way to combat estrogen dominance naturally is to apply progesterone cream or oil. Are there any other ways to get back on track? Certainly. One key root to low progesterone lies in the liver. The liver detoxifies your body. If the liver has issues it cannot get the harmful substances out of your body. How can you fix this? Try not to overeat or drink alcohol excessively. You should also eliminate processed foods, particularly those with added preservatives or other harmful additives. Drinking adequate water also helps detoxify the body. Improving your liver function will help balance hormones and improve overall health. 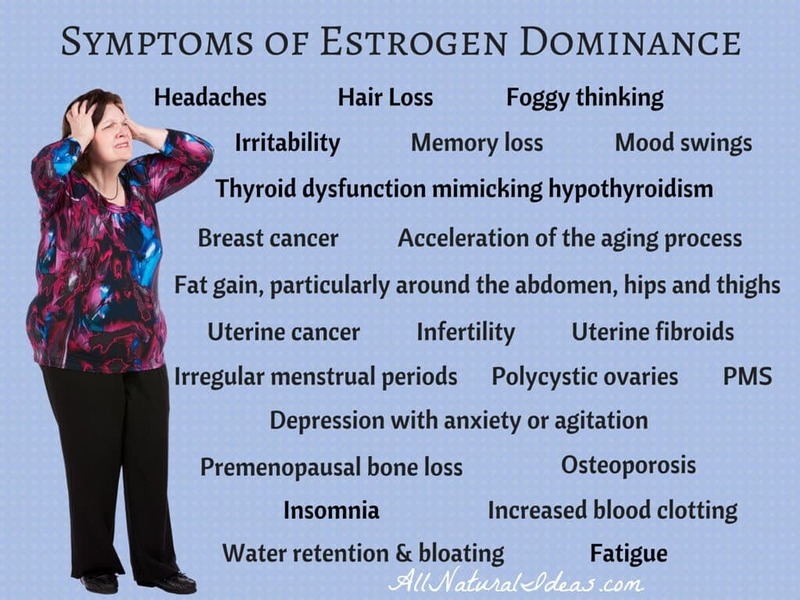 If you are experiencing any of the above estrogen dominance symptoms, you are not alone. 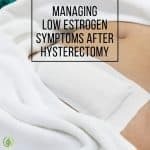 Many women like you suffer from high estrogen levels. There is no need to suffer any longer. The condition is not your fault. It is an issue that has resulted from mankind. Too many manmade creations have emitted the toxic substances that release estrogen like substances into our environment. To reverse this hormonal imbalance, use natural sources of progesterone. Whichever you prefer, get your health back on track. Enjoy the wonders of life again. It does not have to be this way. 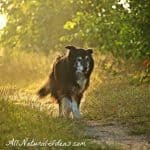 Now that you know the best natural remedies for treating estrogen dominance, there’s no need to suffer anymore! 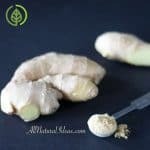 Ginger Root Pills: As good for you as whole ginger root?